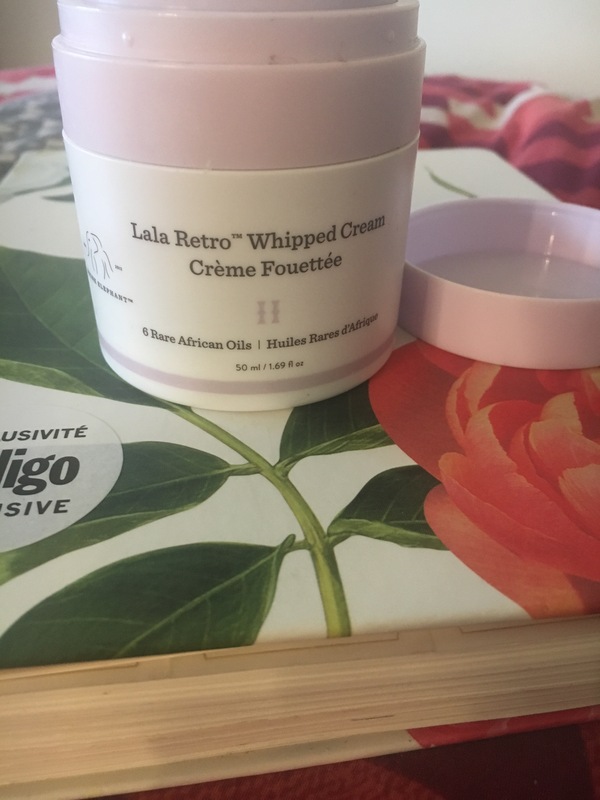 Drunk Elephant Lala Retro Whipped Cream ($75 CDN/1.69 ounces) claims to be “a retro-style moisturizer that rescues dry, dull skin while slowly delivering a steady dose of barrier moisture throughout the day and night” and I surprisingly find myself saying that the moisturizer achieves what it claims. I did first try out this product in a sample size from a value set and found myself purchasing the full size because of the calming and comforting action it provided. The one thing I will say about the claims is that I question any topical moisturizer kind of product that can ‘firm’ the skin’s appearance because of how difficult it is to firm the skin and how subjective this claim is, as it’s talking about the skin’s appearance. However, the moisturizer does help to rehabilitate the skin’s appearance and adds brightness that can be lost when the skin is dry and irritated. It also does provide moisture that does not dissipate quickly, containing the six African oils that the formula boasts about. In terms of packaging, the airless pump is excellent – from a hygiene and ingredient stability standpoint – and you can’t dislike the simple aesthetics of the lilac and white design, but I’m not sure I love it quite enough to want to part with $75 CDN to quickly repurchase it. My general recommendation would be to consider giving the cream a shot if you’re struggling with persistent dryness and sensitivity, especially if a thick whipped texture appeals. If thick butters can clog you, I’d probably stand far away from this but it’s excellent when dealing with conditions such as retinoid-induced dermatitis and extreme weather changes. Now let’s get down to the ingredients. It’s fragrance and irritant free, consisting of emollients, glycerin, antioxidant and fatty-acid-rich plant oils and barrier-repairing ingredients. The brand is cruelty-free as a whole and in all honesty, I’ve been unable to get a clear answer whether or not this particular product is vegan. Now lets get to the rundown of the other ingredients: it starts off with the water-binding agent, glycerin, that’s a skin-identical and repairing substance that’s essential for barrier repair. 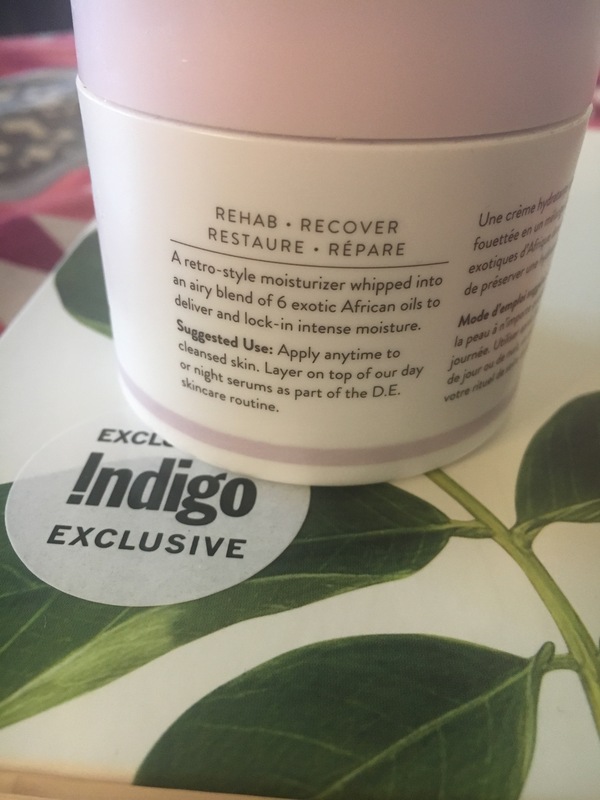 Many of the ten first ingredients are emollients which is why I primarily would only recommend this cream for a drier skin that tolerates thicker butter consistencies without clogging. The formula is laden with fatty acids and contains a decent amount of the antioxidant rich green tea oil, that has specific evidence of being calming and reducing irritation. There are a myriad of other antioxidant-rich plant oils in the formula, also. It contains a specific plant extract called plantar lanceolate leaf extract, which has anti-inflammatory, antioxidant and antibacterial properties and is believed to increase the speed of healing. Another notable ingredient is a hyaluronic acid cross polymer, which also serves to increase the hydration of the skin. Any thoughts on Drunk Elephant? P.S. I purchased mine from Sephora but it’s also available from the Drunk Elephant website. Currently the brand is only available in North America but it has an upcoming UK launch.